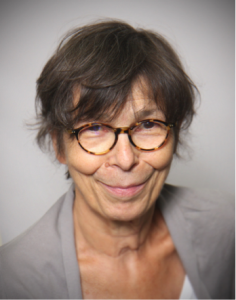 As the author of a thesis that was defended in 1996 and devoted to the audience part in theaters, Marie-Madeleine Mervant-Roux is Emeritus Head of Research at the CNRS and member of the THALIM laboratory. Her works about spectators and non-professional theater and sound and acoustic dimension of the theatrical event belong to an historical and anthropological thinking in regard to the exercise of the dramatic function in Europe. As part of ANR, she has been coordinating the ECHO program with the BnF and CNRS-LIMSI since 2014. This one is studying “spoken voices” on French stages in the second half of the 20th century. She is a plentiful-publication author, for example the co-published book with Jean-Marc Larrue (University of Montreal), Le son du theatre (XIXe – XXIe siècle) (Dramatic sounds. 19th-21st centuries, non-translated), Paris, CNRS Ed., 2016.